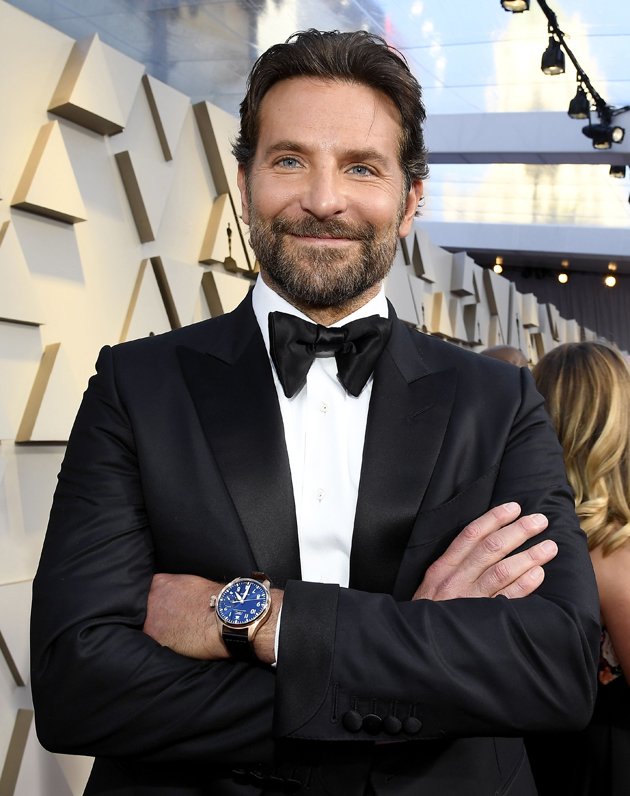 The Oscars ceremony took place on the night of February 24-25, 2019, revealing a prizewinners list for the least unexpected. Green Book won 3 prizes including one for Best Picture, Bohemian Rhapsody won 4 awards including Best Actor for Rami Malek who played the role of Freddie Mercury in the movie that traces the meteoric rise of the Rock Band Queen. The award for Best Actress went to Olivia Colman, who created a magnificent moment by apologizing to Glenn Close her idol, in her charming speech. Below pictures of the stars in all their elegance and the complete prizewinners list. Actors Rami Malek, Olivia Colman, Regina King and Mahershala Ali holding their trophies. 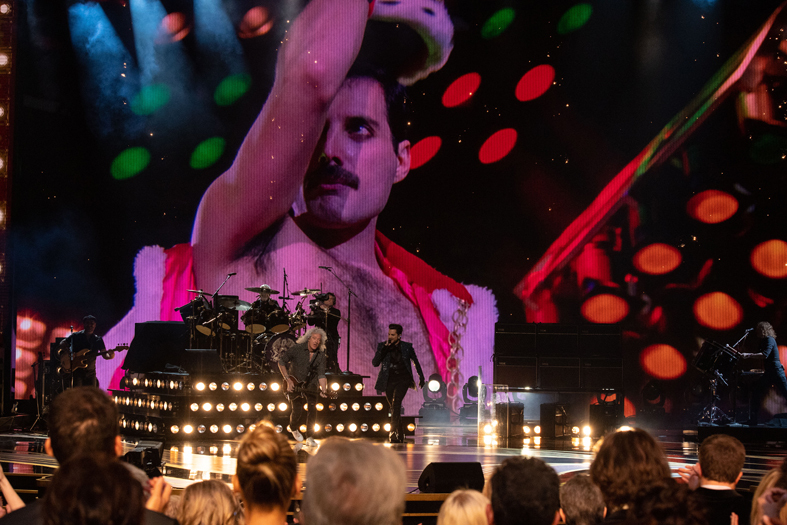 A strong moment of the evening: The performance of Adam Lambert and Queen on stage. Jennifer Lopez refining her makeup backstage. 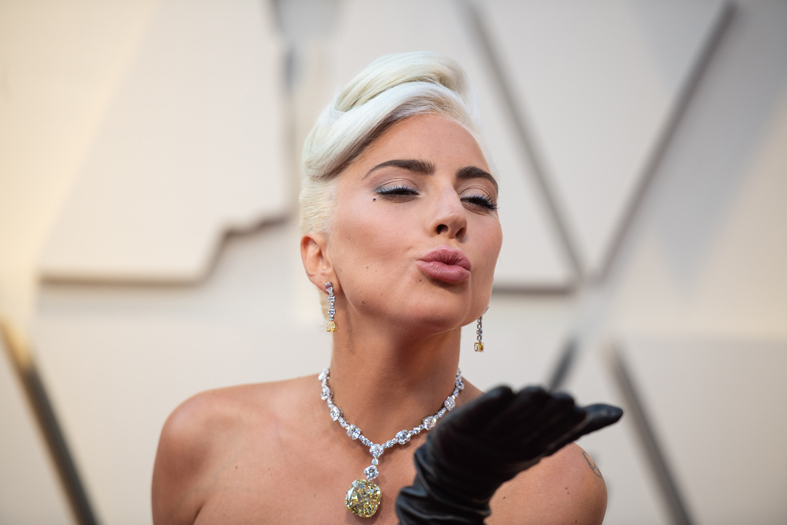 Lady Gaga adorned with a Tiffany necklace, with a diamond pendant in 128ct, estimated at 30 million dollars. © Tiffany. 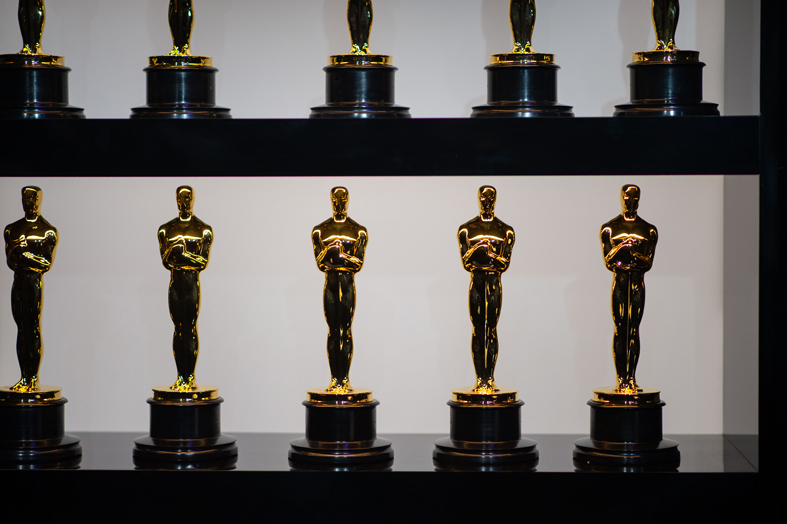 The Oscar, one of the most coveted trophies in the world of cinema. 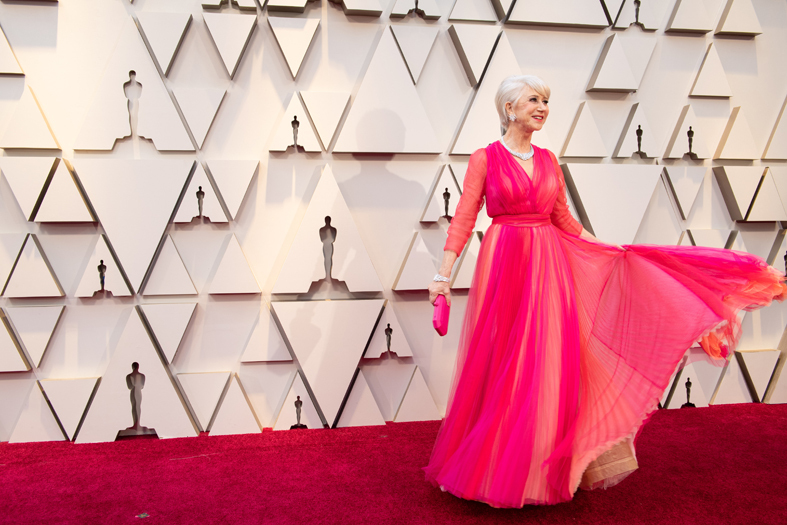 The presenter Helen Mirren adorned with Harry Winston Jewelry. © Harry Winston. Julia Roberts Backstage, during the telecast of ABC. A face-to-face encounter between Amy Adams and Darren Le Gall. Brie Larson wearing a long Couture dress Celine by Hedi Slimane. © Celine. 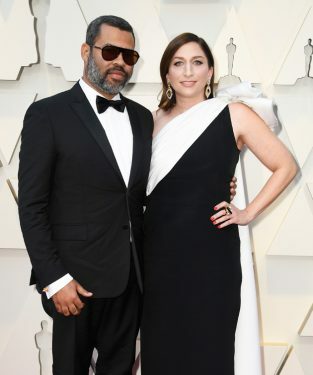 Jordan Peele in a Valentino tuxedo. © Valentino. Bradley Cooper wearing an IWC Big Pilot’s watch. © IWC. Regina King in Oscar de la Renta. © Oscar de la Renta. 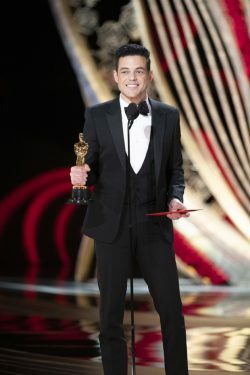 Rami Malek, the winner of the Best Actor prize, wearing Saint Laurent. © Saint Laurent. Meagan Good wore a Couture pink gown from the SS 2019 Collection by Georges Chakra. © Georges Chakra. Miley Cyrus in Saint Laurent for the Vanity Fair Party. © Saint Laurent. Zoe Kravitz in Saint Laurent for the Vanity Fair party. © Saint Laurent. Ahna Oreilly wearing a Tony Ward jumpsuit from the Couture Collection. © Tony Ward.